I hope you’ll join me for my regular monthly guest post at Fiction University: Indie Choices – To Pen Name or Not to Pen Name. The tables are turned on me today. 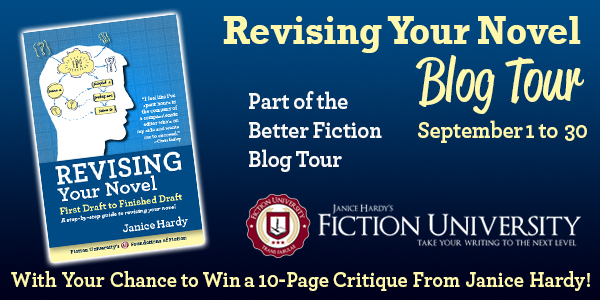 Normally each month I head over to Janice Hardy’s Fiction University (and I will still be there next week), but this month I also have the extremely nice and talented Janice Hardy here to share her knowledge with all of you as part of her blog tour for the release of her new books. The internet can be a funny place when it comes to writing advice. There’s just as much flawed information out there as there is helpful information. The teaching Janice shares is the kind you can trust. And that’s why I’m so happy to have her here with us today talking about a way we can make our revisions easier. Take it away, Janice! Before starting a revision, it helps to create an editorial map. An editorial map (also called an edit map or book map) lets you know exactly how the novel unfolds and where it needs tweaking. It’s also a handy reference tool when you need to check when or how something happens without having to search through the entire manuscript. Even if you’re a fast drafter and completed a manuscript in a few weeks, odds are you don’t remember everything that happens in every scene. Without a clear understanding of what’s in your novel, it’s harder to know the best way to revise. 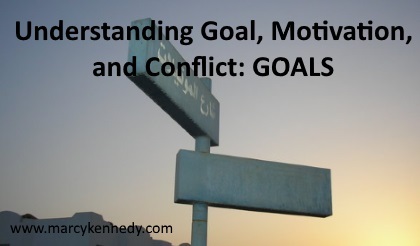 Revision Red Flag: If you’re unable to answer any of these questions, that could indicate you’re missing some of the goal-conflict-stakes plot mechanics. Make notes of the problems so you can easily find them later. Once you identify the core elements of the scene, summarize what happens—the actual actions and choices made. This will be a huge help in analyzing the novel’s narrative drive and pacing. Revision Red Flag: If you can’t summarize the action in the scene, that could indicate there’s not enough external character activity. Perhaps this scene has a lot of backstory, description, or infodumps in it. Be wary if there’s a lot of thinking, but no action taken as a result of that thinking. Make notes on ways to add the character’s goal back in, or how to possibly combine the scene with one that’s weak on internal action. Go scene by scene and summarize the novel. By the end, you’ll have a solid map of how the novel unfolds and what the critical plot elements are. 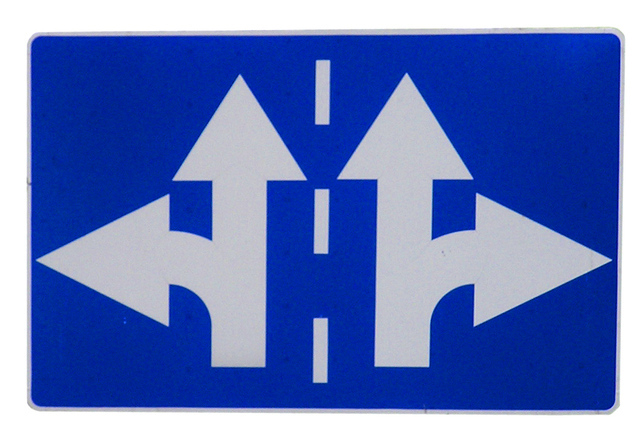 You’ll easily see where/if a plot thread dead ends or wanders off, or any scenes that lack goals or conflict. Revision Red Flag: If you discover some chapters or scenes have a lot of information, while others have a line or two, that could indicate scenes that need fleshing out, or are heavy with non-story-driving elements that might need pruning. It could even show places where too much is going on and readers might need a breather. Mark the areas that need work, adding any ideas that might have occurred to you as you wrote your summaries. Revision Tip: Try highlighting your notes in different colors to denote different elements, such as green for goals, red for tension. 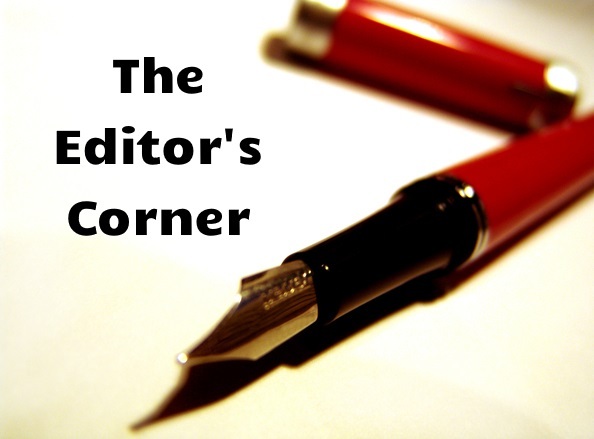 That makes it easy to skim over your editorial map and see where and what the weak spots are. Aside from the core plot elements, you can also include the pacing of reveals, discovery of clues or secrets, how multiple points of view affect each other, or whatever else you want to track. 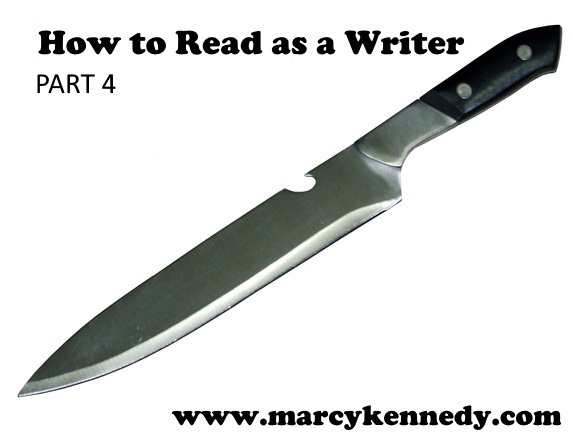 For example, a mystery might have one paragraph per chapter that covers what the killer is doing, even though that’s never seen in the actual novel. These additional details can be woven into the scene summary or kept as bullet points or a subparagraph if that’s easier. You might even have two or three paragraphs per scene: One for the plot, one for the character arcs, and one for information you need, but the characters don’t know yet. This additional information is useful for tracking subplots or inner conflicts, as well as critical clues or what the antagonist is doing off-screen that’s affecting the protagonist. Timelines can also appear here if you need to know when events happen to ensure everything works together and you don’t have any twenty-seven-hour days. Try adding a simple time reminder at the top of every scene, such as: Day One, Morning. Revision Red Flag: If you discover you have no other arcs, that could indicate there’s not enough happening in your novel. A lack of plot could mean there are too many non-story elements bogging down the novel, such as an overload of description, too much world building, heavy infodumps, or even an excess of internalization. The beauty of an editorial map is that once the hard work is done and you have it all mapped out, it’s a solid guide to the novel. If you get stuck during revisions you can open it up, see what happens when, clarify where the story needs to go, and get back on track. Do you create an editorial map for your drafts? It’s easy to enter. Simply visit leave a comment and enter the drawing via Rafflecopter. At the end of each month, I’ll randomly choose a winner. Looking for tips on revising your novel? Check out my new book Revising Your Novel: First Draft to Finished Draft, a series of self-guided workshops that help you revise your manuscript into a finished novel. Still working on your idea? Then try my just-released Planning Your Novel Workbook. Janice Hardy is the award-winning author of The Healing Wars trilogy and the Foundations of Fiction series, including Planning Your Novel: Ideas and Structure, a self-guided workshop for planning or revising a novel, the companion Planning Your Novel Workbook, Revising Your Novel: First Draft to Finished Draft and the upcoming Understanding Show, Don’t Tell (And Really Getting It). She’s also the founder of the writing site, Fiction University. For more advice and helpful writing tips, visit her at www.fiction-university.com or @Janice_Hardy. So today I’m going to cover one of the choices we have—whether to focus on writing in a single genre or whether to write across multiple genres. I hope you’ll join me over at Fiction University for my regular monthly guest post–Writing in Multiple Genres or Specializing. One of the least effective ways to convey character emotions is to tell the reader what the character was feeling: fear, love, jealousy, anger. Before I go on to look at how we can create a rich emotional life for our characters that will touch our readers’ emotions, I think we need to break down why telling an emotion doesn’t work. When we’re in the middle of an emotion, we don’t stop to think about what emotion we’re experiencing and to name it—we just experience it. The nature of emotions is that they tend to inhibit our ability to think logically and rationally. So when we label an emotion at the time our character is experiencing it, it feels like someone else is talking about that character or like our character is unrealistically self-aware. Labeling an emotion also strips out everything that makes that emotion individual and fresh. It takes the personality out of it so that it lays flat on the page. We don’t learn anything about the character. Despite this, many of us are tempted to label the character’s emotions in our writing because we don’t want to risk confusing the reader about what our character is feeling. We want to be sure they know. But the real key to clear emotion that’s also going to resonate with the reader is adding in layers. Emotions affect us physically in visceral ways we can’t control. Our palms sweat. Our hands tremble. We gasp or yelp or screech. When we put these reactions on the page, we’re not only reminding the reader of times they’ve felt those same physical symptoms. We’re also bringing them in close to our character so they’re experiencing the emotion from the inside rather than simply watching it from the outside. What a character thinks and what they say can give away what they’re feeling as well. Even more interesting at times is when what they think doesn’t match up with what they say. In those cases, we’re showing their true emotions and how those emotions contrast with how they feel they need to portray themselves to the people around them. Our bodies speak to our emotions in big and small ways. An impatient character might bob the foot of their crossed leg. A character who received shocking news might sink into a chair. A character who is desperate might stretch their hands out toward the person they’re pleading with. Allowing our characters to transmit their emotions in this way helps the reader understand what they’re feeling and it also adds depth. Let’s look at a quick example. To add some context, our viewpoint character Becky has been waiting by the window for her husband to come home. He’s late. A police car pulled to a stop in front of their house, and two officers got out. Fear shot through her. A police car pulled to a stop in front of their house, and two officers got out. 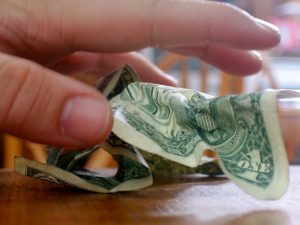 Trembling started in her fingers and worked its way up her arm like some kind of a localized seizure. She dropped the curtain into place, and took one step, two, back away from the window. Craig wasn’t that late. He was flat tire late. Or traffic jam late. Or the-meeting-ran-long late. He wasn’t uniforms-notify-the-next-of-kin late. Not every emotion needs this much emphasis. Not every moment in your story will be important enough to warrant it. But if your characters feel flat or if your emotions are coming across muddy, especially at times when their emotions are essential, then try adding in more layers. 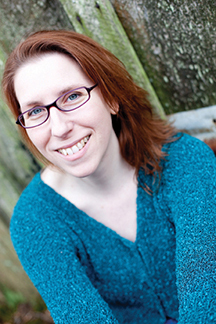 Want more help bringing your characters and their internal lives to life for your readers? 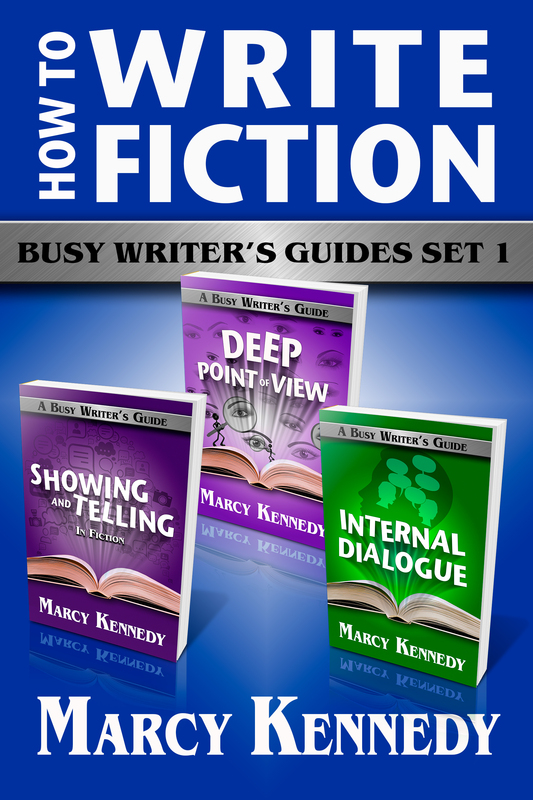 I’m excited to introduce my first box set—How to Write Fiction: Busy Writer’s Guides Set 1. Showing and telling, deep point of view, and internal dialogue are foundational skills you need to master to create vivid fiction that engages the reader emotionally. Showing and Telling in Fiction will help you clearly understand the difference between showing and telling, provide you with guidelines for when to show and when to tell, and give you practical editing tools for spotting and fixing telling in your writing. Do you want readers to be so caught up in your book that they forget they’re reading? Then you need deep POV. Deep POV places the reader inside of our characters—hearing their thoughts, feeling their emotions, and living the story through them. In Deep Point of View, you’ll learn specific, practical things you can do to take your fiction to the next level with deep POV. Internal dialogue is one of the most powerful tools in a fiction writer’s arsenal. It’s also one of the least understood and most often mismanaged elements. In Internal Dialogue, you’ll learn the difference between internal dialogue and narration, how to format internal dialogue, how to balance it with external action, how to use it to advance your story, and much more. The box set is priced at $9.99, a 10% savings over buying the books individually. This week we’re going to dig down into the nuts and bolts of how the writing comes together on a line-by-line basis. I’d recommend you stick with the books you selected last time because you’ve already vetted them, you’re familiar with the content, and you’ll already have an idea of what some of the best passages are. Pick a passage from one of the books (select about 1000 words) and type it into a document. The exercise I’m going to suggest might seem a little strange at first, and it can easily be misunderstood. I’m not saying you should copy someone else’s work. I’m not saying you should try to mimic someone else’s voice. You’re simply trying to see how a well-written book works and feels on a sentence-by-sentence level. These are books you love, so they should be books you can learn from. One of the best ways to develop a feel for how accomplished authors write is to type out their words. You’re not going to stop there, though. Once you’ve typed out the passage, you can print it out and highlight the different elements. Choose whatever colors you want, but you’ll need five. Now lay the pages out in front of you. Look for patterns. Do you see any large chunks of color? Probably not. If you do, how has the writer kept your interest? Or why did they lose it? How have they woven the elements together? Do you see any colors that tend to pair together? You’ll probably see visceral reactions and characters thoughts often show up side by side. How has the writer used the elements to build on each other? When an author wants to bring out a strong emotional reaction, they’ll often combine many of the elements and use them to enhance the emotions they want the reader to feel. Notice which moments are considered important enough to be developed using multiple techniques. 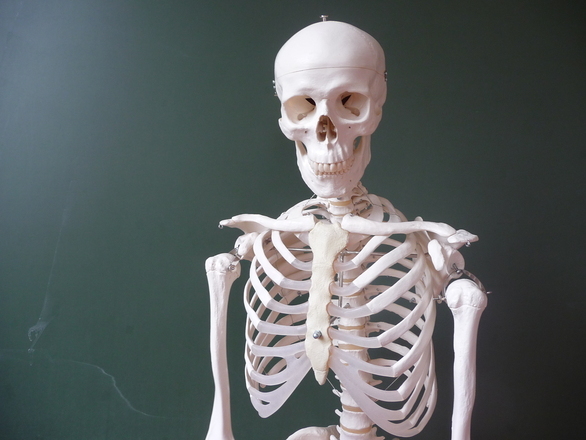 If you spotted a passage that felt slow, can you now see what might be causing that? If a passage felt rushed, can you now see what might have caused that? It’s not always about learning from the good. We can also learn from mistakes. To take this to the next level, print 1000 words of your current project, highlight them, and compare. Make sure you’ve chosen similar sections. For example, don’t compare an action scene with an emotional reaction scene. This can be an eye opener. That brings us to the end of the series. If you want a copy of this series that you can download, sign up for my newsletter. I’ll be making it available to my newsletter subscribers as a PDF in the near future. Writing to market isn’t a new concept, but recently it’s become one of the hot topic issues within the writing world, largely thanks to Chris Fox’s 21 Day Novel Challenge. On one side of the divide over writing to market are authors who say that writing to market is the way to earn a good living off your work. On the other side are writers who say that writing to market makes you a mercenary and will lead to a short career where you burn out and hate to write. This month, in my regular guest post at Fiction University, I’m explaining what writing to market means, taking a look at some of the pros and cons, and asking whether we really have to choose between writing for love or writing for money. Is it possible to find the spot where what we love to write and what we can make money writing overlap? Interested in more ways to improve your writing? 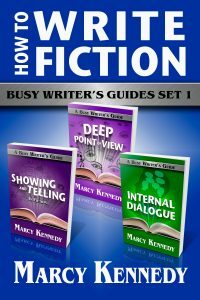 Check out my Busy Writer’s Guides such as Description, Showing and Telling in Fiction, Deep Point of View, or Internal Dialogue.